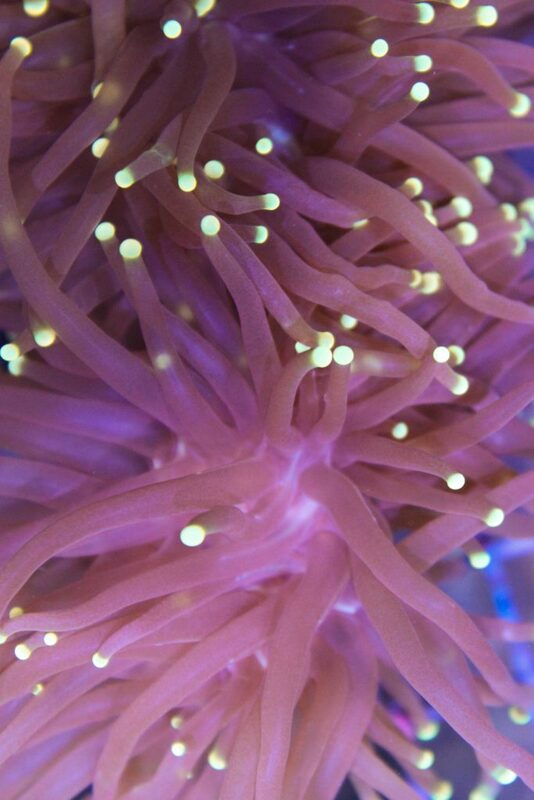 Torch corals are moderately easy to maintain in reef aquariums. It has an exposed calcified skeletal structure as base and long fleshy polyps with rounded tips that extend from it. They require medium light and medium to high water flow. We recommend placing them halfway in your tank on rocks. There tentacles can extend and are used for feeding and defending itself. Hence, it is very important to leave plenty of space in between any torch with other coral as they will sting and kill other coral species. They do not, however, sting other torches so it is fine to place torches close to other torches. Feeding is not required but highly recommended for better health and faster growth of torches. Their skeleton forms babies around the base and then they grow a branch like structure from their babies, or heads may also split and form two heads out of one. 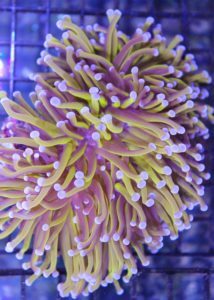 Key to torches we have found is flow, they need more than most euphyllia coral. Also dip torches before placing them in your tank as there is a large flat worm predator that eats them.